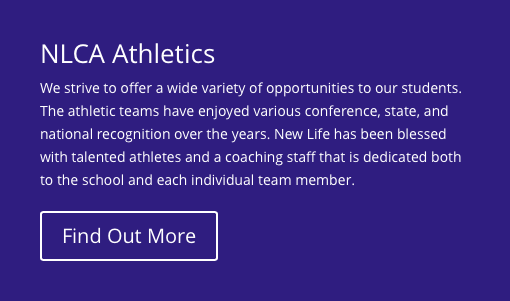 New Life Christian Academy was founded in 1979 as a ministry of New Life Church. Growing from an original class of six students to the current enrollment of over two hundred, NLCA has remained true to its roots while moving ahead for God’s glory. 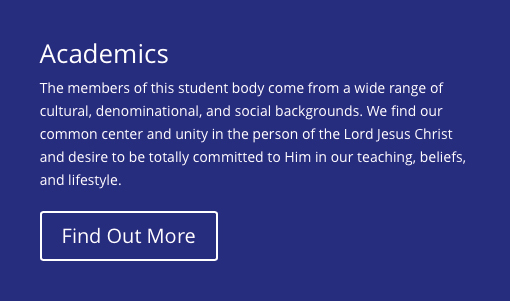 At NLCA, students in K-3 through the twelfth grade receive a quality education that is fully integrated with God’s Word and Christian principles. Because NLCA is a ministry of New Life Church, the church provides classrooms, utilities, equipment and other items necessary to the school’s operation with tuition and registration fees used as a supplement to the cost. Furthermore, it is the policy of NLCA to engage only personnel of Christian dedication, recognized educational training, and successful experience who will complement your child’s Christian home training.